When Italian-born Melbourne chef Rosa Mitchell and her husband Colin bought their farm in central Victoria in the late 1980s. They acquired 20 acres of cleared land running up a volcanic hill, a few fruit trees, and a dilapidated, one room milking shed. Within weeks they'd planted grapevines, later adding Italian varietals, and soon had fruit and olive trees thriving on the property. The farm, which has expanded over the years, has always been a special haven for Rosa and her family, a place for good food and wine, and celebratory meals. In this book she shares more recipes for her favorite Italian dishes which, like those in the popular My Cousin Rosa are simple, traditional, lovingly prepared and utterly authentic. 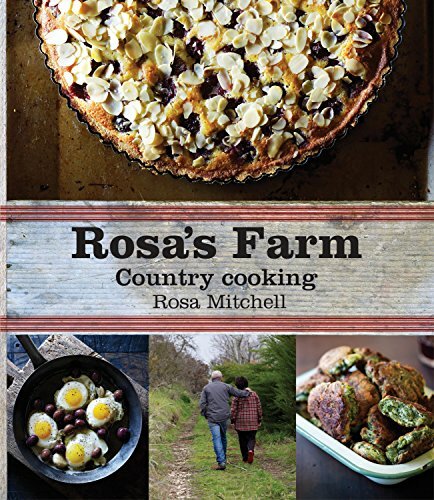 Rosa Mitchell is passionate about food and how it links history, tradition, family and friends. Rosa was a founding member of Slow Food Victoria and together with her husband Colin Mitchell, runs a small vineyard in Central Victoria, Australia.